Well done Eide! Thanks for these. If this is a recreation of the original pattern designed by Ray Bergman then I would like to add some background . There is an original pattern from Bergman which he designed in 1927 called the BASHERKILL. On page 137 of Just Fishing (Ray Bergman, 1942 ed. ), he wrote, "Often in May I have been on a stream during a hatch of greenish yellow flies. The Baskerkilll serves me well under these conditions." Thanks Ted. I like the sound of that fly. 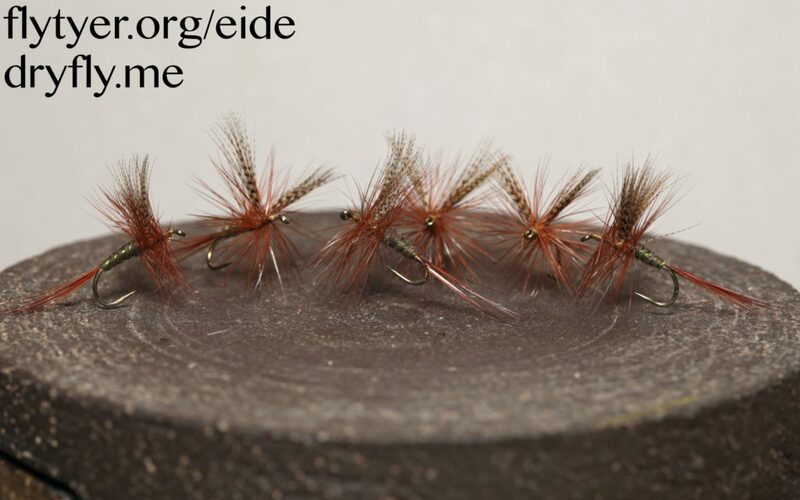 This was taken from the "The classic dry fly box" (I think that was the book) by Mike Valla, I got to tie some with him just a few weeks back on the WoodsTorrt in Sweden. Thanks Eide! Sounds great. It's really nice to see you tying traditional dey flies. They look very nice. Teddy and I would fish with them! !